Punchline: this ski looks really interesting, and a number of us here are very interested to get it on snow. Overall, these are stiff, and I quite like what Scott’s done here. So yes, the very tip of the ski is quite accessible, but that softer flex doesn’t last long at all, and things start to ramp up progressively and seriously. As a point of reference, I hand flexed these against the 184 cm Volkl V-Werks Katana, and the flex pattern of the two skis is definitely in the same ballpark — the tips & shovels of the V-Werks Katana actually feel just a touch stiffer than the Scrapper 115, while the tails of the Scrapper 115 are a touch stiffer than the V-Werks Katana. Very interesting. 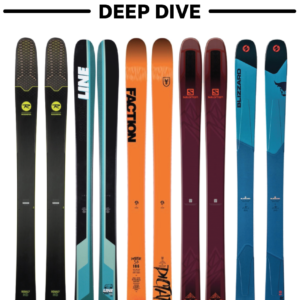 I personally love the flex pattern of both of these skis, and will be curious to learn how the flex pattern of the Scrapper 115 works / feels on snow. Anyway, point is, Scott’s claims of “powerful and ultra-stable” seem well-founded based on the Scrapper 115’s flex pattern — and also its shape. A wise man once said, “If you’re gonna make a light ski, go real easy on the tip and tail taper.” Ok, no wise person ever said that, but I did, and in the case of the Scrapper 115, Scott went real easy on the tip and tail taper. Granted, they certainly didn’t get that idea from me; the Scrapper 115 has a tip and tail shape that looks to be borrowed from the (now discontinued) Scott Punisher 110, and that ski was far from twitchy. Furthermore, the Scrapper 115 has a respectably-large stated average sidecut radius of 24 meters — and that is a “variable” sidecut radius, so the ski is actually straighter (than 24 m) underfoot, with a tighter sidecut at the tip and tail. And before anyone gets mad that the ski doesn’t have a 30+ meter sidecut radius, given the overall stiffness of this ski, I don’t think many people are going to overpower this ski into tighter turns than they were intending to make. 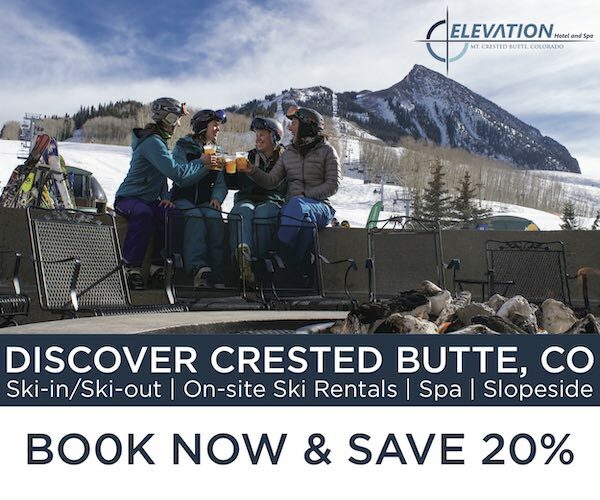 To all ski industry marketing departments: with all due respect, it would probably be good to start checking in with the people who are actually pressing your skis. 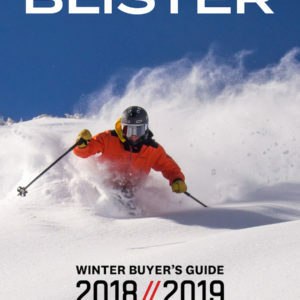 We continue to see not-even-close stated weights from so many ski companies, and it’s really misleading. Of course, the good news is that such skis are going to go downhill better than they would if they actually weighed their fake-news numbers. Anyway, at just over 1900 grams for a ski this long and wide — with this flex pattern and tip and tail shape — the Scrapper 115 seems quite ideal for touring in deeper snow … and potentially even as an inbounds pow ski. We’ll see. We are probably going to mount this with a touring binding, but we’d be very interested to hear whether most of you would actually be more interested in putting an alpine binding on this ski and using it primarily inbounds. That said, for those who know they wouldn’t want to tour on a 189cm-long ski, the 182 cm Scrapper could be extremely interesting (while coming in at an even lower weight). Looks nice. The first thing we thought was that the Scrapper 115 has more tail rocker than the HEAD Kore 117, and less than the Moment Bibby Tour. Which seems like it could be quite appealing to a lot of people — not quite as loose as the Bibby Tour, less locked-in than the KORE 117. 11.1 cm behind true center is a very traditional mount point, and puts the ski in line with the HEAD Kore 117 (-11.6 cm), Volkl V-Werks Katana (-13.9 cm), and the G3 SENDr 112 (-11.3 cm). But the sidewall of the Scrapper 115 includes marks for +1, +2, and +3, which suggests that Scott is encouraging no one to mount back of the recommended line, but considers it reasonable to go at least 1-3 cm in front of the line. By the looks of things, going +1 certainly seems very reasonable, so we’ll be sure to weigh in on mount point as we start to get time on the ski. The Kore 117 is probably the closest comparison to the Scrapper 115, given the similarities in weight, stiffness, mount points, and rocker profiles. As noted, the Scrapper 115 has more tail splay and a touch less tip splay, but this is going to be an interesting comparison. The SENDr 112 might be the 2nd closest comparison — it’s a ski that Sam Shaheen won’t stop raving about, and he is equally excited to get on the Scrapper. The Scrapper 115 and SENDr 112 have similar sidecuts (24 m vs. 25.8 m, respectively), and the Scrapper 115 has significantly more tail splay — the SENDr 112 has 14 mm tail splay, and a pretty shallow rocker line, probably shallower than the Kore 117. Their flex patterns seem similar, they have very similar mount points, and the Scrapper 115 comes in about ~50 g heavier than the SENDr 112. So, the Scrapper 115 could be a more playful, looser version of the SENDr 112, though we’ll see how the difference in rocker profile, taper, and construction plays out on snow. The Bibby Tour has more tip and tail splay, and the 190 cm Bibby Tour definitely weighs more — the 184 cm Bibby Tour comes in at a weight (1903 & 1929 grams) that’s very close to the 189 cm Scapper. This is a bit of a reach since we haven’t yet seen the Dictator 4.0, but we’re super intrigued by the 4.0 / Scrapper 115 comparison. The 4.0 has a stated weight of 2100 g @180 cm, so the Scrapper 115 wins the weight battle easily. It also might mean that the 4.0 is far more capable in variable snow. We hope to find out. I.e., super similar to the Scrapper 115. We love the 190 cm Super 7 RD. It comes in at 2126 & 2173 g per ski, so if the Scrapper 115 can punch above its weight in terms of downhill performance, could it be a more touring-friendly version of the Super 7 RD? The Punisher 110 and Scrapper 115 have similar rocker profiles, and very similar stated dimensions (Punisher 110 stated Dimensions = 144-110-132). The two skis have the same exact tip and tail, but the Punisher 110 is 6 mm narrower at the waist; so on paper, at least, the Punisher 110 has more sidecut (stated average sidecut of 18 m), but Scott’s “3D” sidecut with a straight section underfoot means that we shouldn’t place too much stock on these sidecut numbers. The other thing is that the Punisher 110 weighs 2191 & 2204 g, or ~300 g more than Scrapper 115. So we do not expect the Scrapper 115 to have the same stability in variable conditions as the Punisher 110, but we’ll go see what degree of family resemblance the two skis have (if much of any). Powerful and stable, light and nimble. 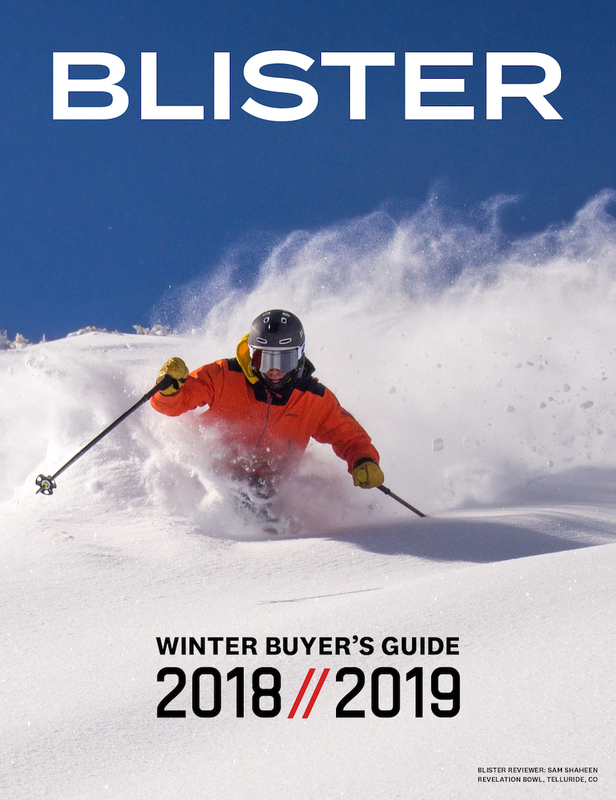 By the looks of things, that sounds about right; the Scrapper 115 looks like a very solid design, and could seemingly have just as many people eager to throw an AT binding on it as there are folks who would love to use it as a lighter inbounds ski. 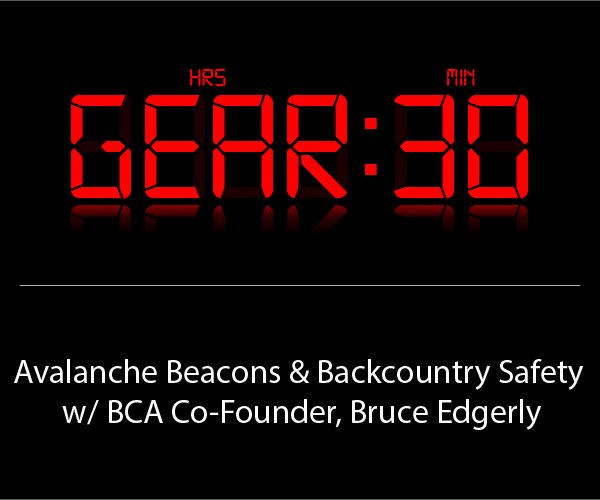 We’ll start getting it on snow as soon as the snow starts piling up in Colorado, but for now, let us know what questions you might like us to address in our full review. 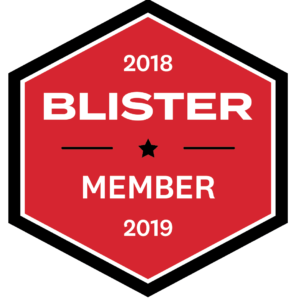 Blister members can now read our initial on-snow impressions in our Flash Review of the Scrapper 115. And again Jonathan, many thanks for the extraordinary review! -Can you share few thoughts about differences between Scrapper 124 and 115? Yes, I know they are different, but how much? I measured the 124 weight and the scale said 2020&2015 grams per ski. Not too much different weight, but may be diifferent behavior in 40+ pow? But what about old, wet (or refrozen) snow and variable conditions? Scrapper 115 with a kingpin is an aggressive directional touring machine. Mounted mine +2 last year and they were my favorite ski to date. Although the few days I have on the Sendr 112 makes me think it could be just as fun but in a lighter weight. Will you guys be getting on the Punishers this year as well? What about a comparison with the blizzard rustler 11? Definitely interested in hearing how the 189 tours! I’m now trying to decide whether to mount a pair of these for touring or inbounds so I’m curious about updates. Anyone gotten any time on this ski yet? I’ve been skiing these in a 189 with a Salomon mtn pin binding in Chamonix this winter (its been a good winter!). I’m 5’10” 165. They are crazy light in this configuration. They definitely crush untracked snow, even heavier, windblown stuff and surf pow great. They aren’t ‘easy’ but I can get them around no problem due to easy weight. Only difficulty is in cut up hard conditions where lack of weight and surface area combine to be unfun. Touring they’re great but it’s a big ski for a delicate kick turn in deep powder so think about that if you don’t have good skinning technique go for the 182. All around thumbs up tho. So… how do they compare to the vwerks Katana? less damp? Katana better in crust & chop? Would it make sense to upgrade from Solomon q115 to Scott? I’m looking for a replacement for my Punisher 110 183 that I like quite a bit, but they are getting beat up. I find it to be about the right combination of fun, stable and forgiving in all conditions when I’m going flat out or just following my kids. From your description, the Scrapper probably doesn’t sound like it is as versatile. What would you recommend in the 108 to 112mm range? I am fairly directional, but don’t really gravitate to skis that are full of metal.